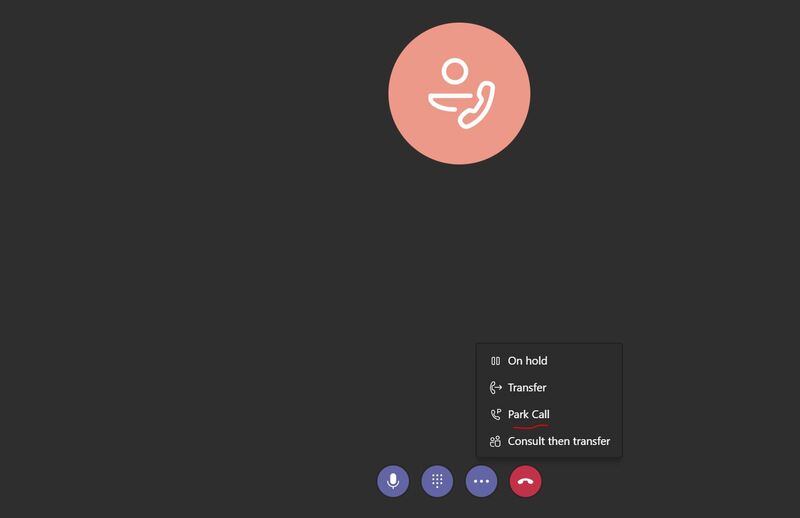 Call Park feature is finally announced for Microsoft Teams and it now has (almost) all the Skype for Business Enterprise Voice related features in it. It’s still missing Call Pickup feature. 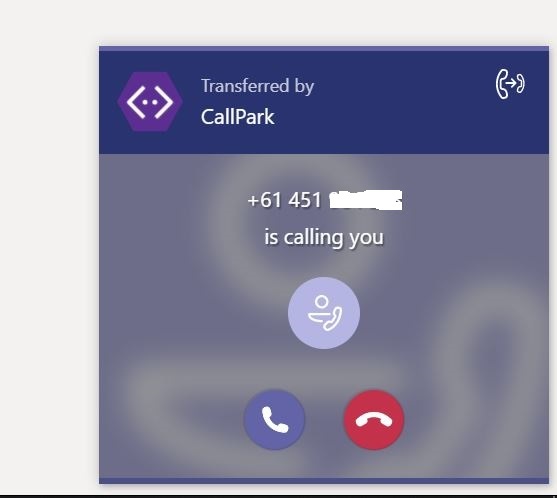 If you are already families with Microsoft Lync and Skype for Business platforms, you already know what “Call Park” means. Also, it’s one of most commonly available feature in traditional TDM\IP PBX platforms. Call Pickup is available to use in all Teams clients across platform. But, still not available in Teams based IP phones. Also, this feature only works in the user account is set to be on “Teams Only” interoperability mode. It will not work in “Islands” mode. Create a new Teams Call Park Policy. Assign the policy to users. By default, Parking is turned off in the policy. Configuration is done. Now, we need to test the feature. When you set the policy to the user and make an inbound call, you should see the “Call Park” feature appears in call control menu. Press Call Park and notice that the call getting parked and it shows the retrieve code, that can be used to pick up the call from elsewhere. Unlike in Lync or Skype for Business, Teams has a dedicated button\tab that need to be used for pickup function. It’s located in “Calls” tab, next to “Groups” and Speed Dial. Press the “Unpark” button and then specify the park code that was provided by the time of parking the call. Press “Pick Up” to retrieve the parked call. 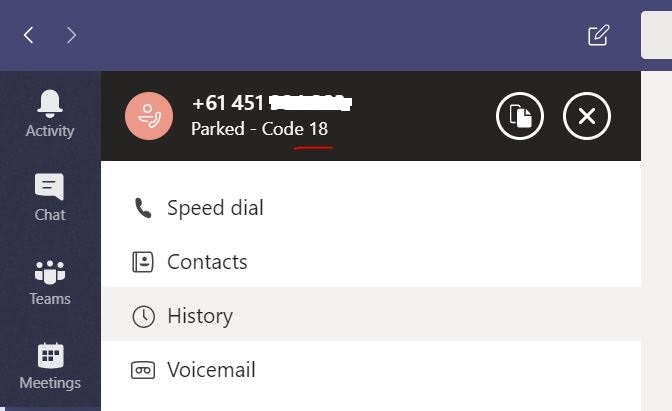 If the call was not retrieved for 5 Minutes, then the call will be returned to the user who parked the call in the first place. That’s all it needs to configure Call Parking in Teams. Give it a go and post on comments if you have any issues. 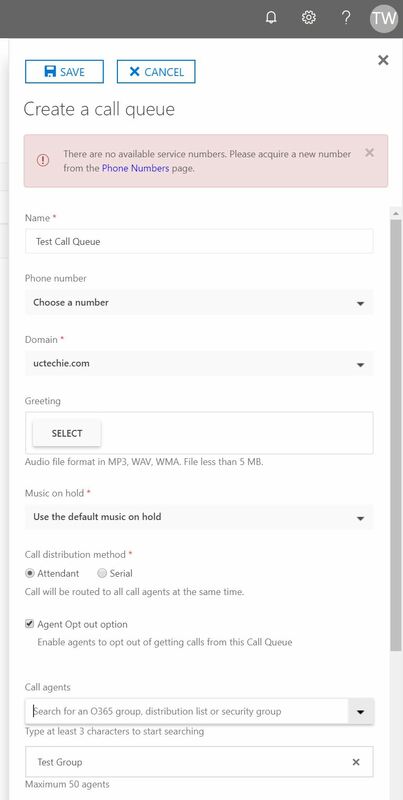 When Direct Routing with Microsoft Teams has been deployed, you will notice that forwarding and transferring calls to PSTN numbers might not work. But, if the PSTN connection is an ISDN trunk or anything TDM, this will work from the get-go. The reason behind this is, both Skype for Business and Teams sends original caller ID, when a call get forwarded or transferred to PSTN. The original caller ID will be the CLID of the PSTN inbound call. If the PSTN connection is a SIP Trunk, then the trunk won’t allow outbound calls from a source number that does not belongs to it’s number range. It will reject the call. 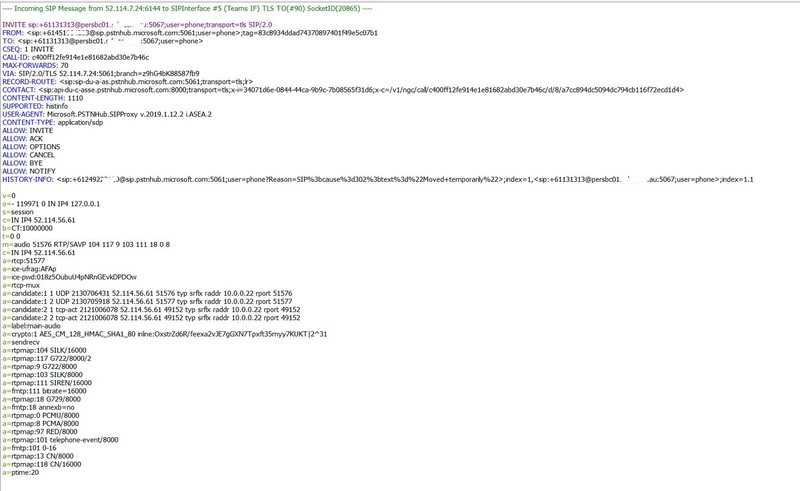 Below is a SYSLOG capture of a call that getting forwarded to PSTN. Notice the FROM field. That is a Mobile number. HISTORY INFO carries the DID that forwarded the call. If the PSTN connection is a TDM trunk, then it will mask the caller ID to the pilot number of the trunk and process the call. In this article, i’m going to explain how to fix PSTN call forwarding to work with SIP Trunks. In my setup, i have Direct Routing configured in AudioCodes Mediant 800 SBC. I have a SIP Trunk from a local telecommunications provider for PSTN connectivity. So, let’s start. Log in to AudioCodes SBC and create a Message Manipulation rule to manipulate the FROM User URI to replace it with the Pilot number of the SIP trunk. Unfortunately, we can’t get the actual DID number that sets the call forward as that information is not there in INVITE header. The Manipulation Set ID mentioned below can be any value. I had to use “5” as i’m already using 1-4 for different rules. Action Value should be the Pilot number of the Trunk. After that, set the Manipulation set ID in Teams IP group, “Inbound Message Manipulation” setting. This should fix the number inbound number presentation in to SIP Trunk. If you look at a SYSLOG capture,it will show how the numbers are getting presented to SIP trunk. Notice that the FROM number have changed from +614xxxxxxxxx mobile number to 089xxxxxxx value, that was set in Message Manipulation. This number was manipulated to remove “+61” and add “0” by an “Outbound Message Manipulation” rule. By now, call forwarding to PSTN should work. If it still having issues, check the SYSLOG of a failed calls to identify what could be the root cause. Post in comments if you still have issues with PSTN call forwarding setup in Teams (with Direct Routing). If you are using Microsoft Phone system in O365, you might already be using Call Queues and Auto Attendant features. 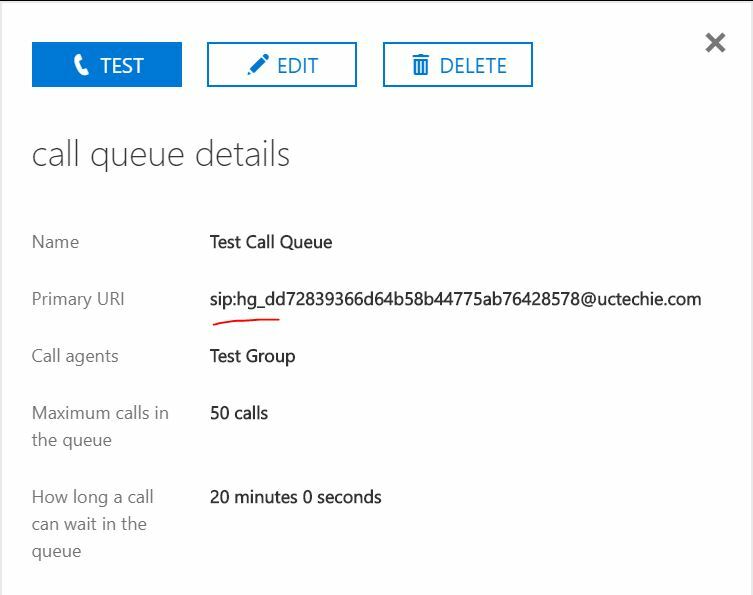 For those who haven’t use them yet (you might be still using Skype for Business Server on-premises), Call Queues are the equivalent of Response Group Services Hunt Groups. Auto Attendant is the online version of Response Groups IVR. This also replaces the Auto Attendant feature in Exchange UM. If you are using on-premises Skype for Business server and thinking about moving to Skype for Business online (which you should), and want to use the same PSTN numbers that you use in on-premises server for hunt groups, then this explains how you can do that. Typically, Call Queues and Auto Attendant services needs a “Service Number” that acquired from Microsoft to be associated with these services. This is fine if the deployment is a “green field” deployment and no numbers have been published outside. But, using services numbers will be challenging when moving on on-premises platform to Teams or SfBO as already published numbers need to be changed. AudioCodes Mediant SBC in use for PSTN integration. **This article does not applies to Direct Routing with Microsoft Teams. 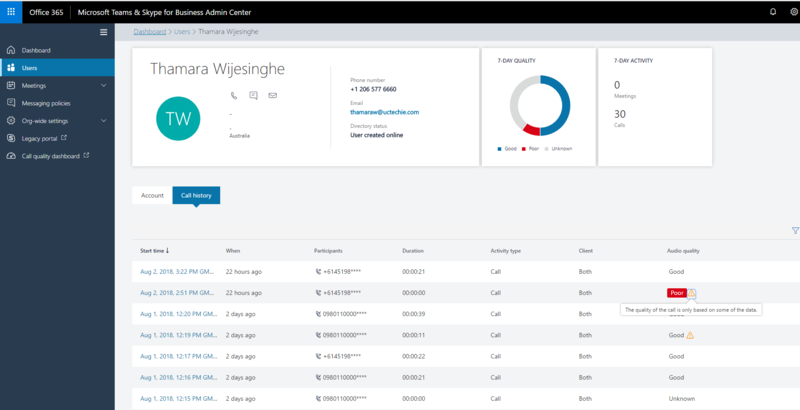 First, let’s create the Call Queue in Skype for Business Admin Portal. 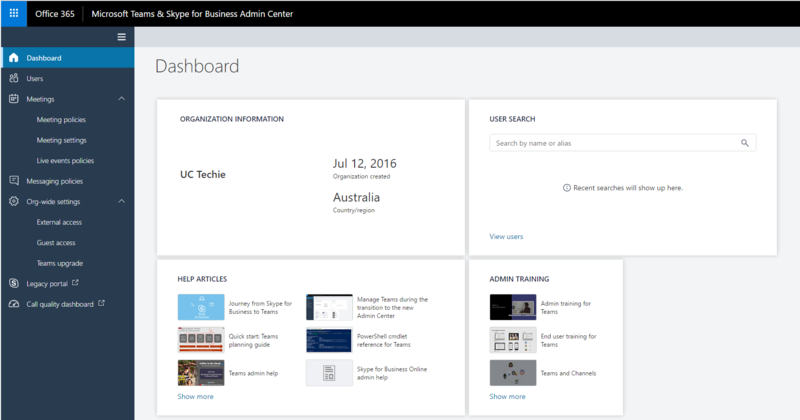 Log in to O365 portal and navigate in to Teams\Skype for Business Admin Portal. Then select the “Legacy Portal” option (Enterprise Voice related components have not yet migrated in to the new Admin portal). In Legacy Portal, go to “Call Routing” section. Click on “Add New” to create the new Call Queue. Set a name for the Call Queue and select the domain. Note down the domain that you have used as it will be required later on. Set the call distribution method the way you want and the AD group that contain the users who will be participating in the queue. Save the configuration when done. Once the object is created, note down the user part of the SIP URI of the object. We will be using this in AudioCodes gateway. So the O365 bit is done. Now, log in to the AudioCodes SBC. In the SBC, on the IP Group that was created for SfBO, configure the domain that you have selected above, in to the “SIP Group Name” field. This is important as this domain name will override the host component of the INVITE request that goes in to SfBO. If the domain mentioned in here does not match up with the domain that was selected in Call Queue, the the call will fail to connect. Next s to confirm that the call routing is in place. In the SBC, there should be a route configured to send calls to SfBO. If it is a standard Direct Routing or CCE deployment, the there should be a route configured to send all calls to O365. 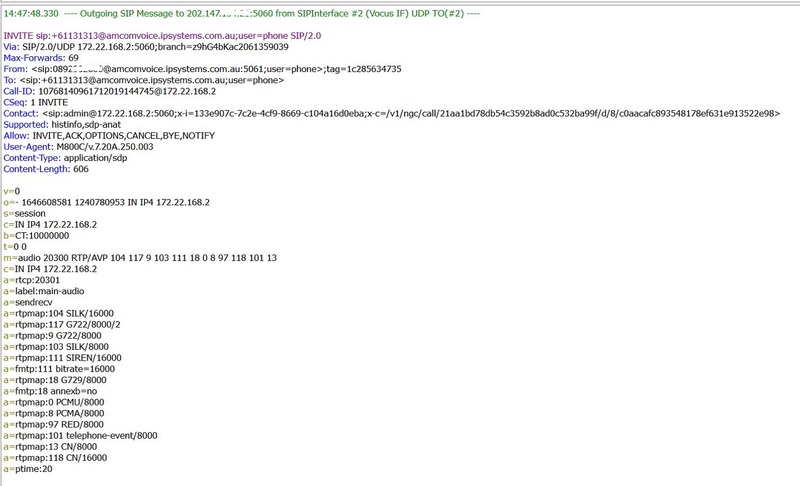 Below snapshot shows a rote entry that configured to send all calls from SIP Trunk to be sent to SfBO. The numbers are already in E.164 format. Otherwise, you will need to normalize it to convert to E.164. The configuration is completed now. When anyone outside calls the number +61893231234, the call will land on the Call queue. There were no Service number used for this configuration. Recently, Microsoft have introduced a dedicated Admin Center for Skype for Business Online and Teams. This tool is in the process of rolling out and keep getting added with new capabilities. Core purpose of this tool is to consolidate the configuration and day-to-day admin tasks of Skype for Business Online (SfBO) and Teams in to a central place other than going in to various different portals and running Powershell scripts. When you log in to Microsoft 365 Portal as an Admin, you will notice that the Skype for Business Administration tab is replaced by new Skype and Teams Admin portal. When you click on it, it takes you to the new admin portal. On the “Dash Board”, it shows the Organization information, search for users. There are some self help materials available to get familiarize with Teams and guidance to move from Skype for Business to Teams. Only complain i have this view about is that, it’s missing the overview of where the users are homes at for Skype for Business. That view is important for those who has Skype for Business Hybrid deployments to have a visibility on where the majority of the users are located. Move on in to different Tabs, the “Users” tab provide a complete list of users that are enabled for Teams and SfBO. 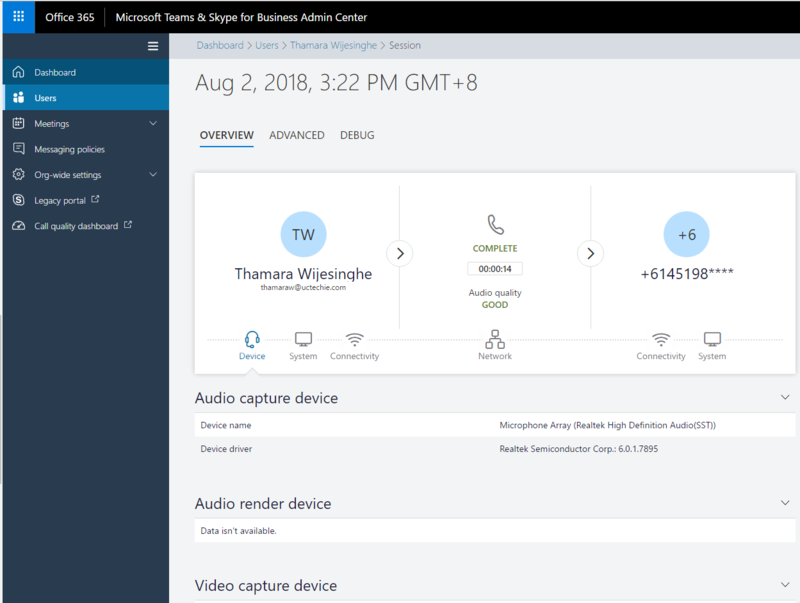 It also shows where the user located at in a Skype for Business Hybrid scenario (which i was talking about hat was missing in the Dashboard). For SfBO and Teams, it shows what type of license that user has and features\policies enabled for the user. Further more, if you select one of the users, it will show the overall Skype\Teams configuration for that user. It includes the policies that re assigned to the user and current Teams Upgrade status. It also shows the accumulated call quality information for the entire week. If you need further information about Call History, you can go in to “Call History” tab and analyze the call quality further. 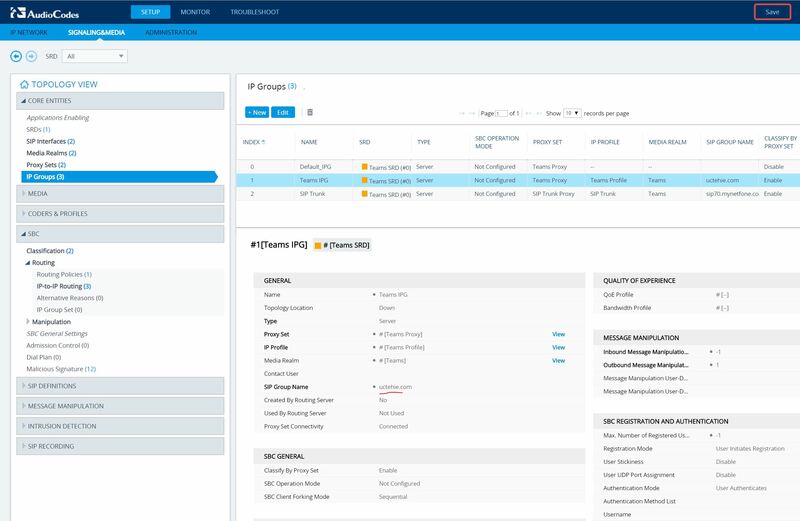 Call Analytic component was recently added in to the Admin portal and it is a powerful tool that allows administrators to have an insight of how calls performed and how the network behaved during the call. The “Meetings” tab provides the capability to create new Meeting Policies, if the pre-configured policies are not suited for the environment. The pre-configured policies which are available by default cannot be edited. Custom meeting policies can be configured to allow or deny certain features be used during a meeting. These policies can be assigned to individual users. In “Meeting Settings” you can customize the meeting invite that get sent to attendees. Interestingly, this also allows to control media ports that used for Peer to Peer calls for QoS purpose. The DSCP values still remains as is, the ports can be customized based on preference. The “Live Event policy” allows to set who can schedule Teams based Live events (Broadcast Meetings) and what features to be allowed to use. The default Global policy can be modified for organization wide configuration. Or, custom policies can be crated for more granular control. Customized “Messaging Policies” can be configured and assign to users to control chat and messaging features in Teams channels. The default Global policy can be modified for organization wide configuration. Or, custom policies can be crated for more granular control. The “Org-Wide Settings” allows to set configuration for all Skype and Teams users within the organization with a set of configuration. This allows to control External\Guest user access (A.K.A Federation) and control of Skype for Business to Teams upgrade. For Teams Upgrade, Org-wide settings will be effected only if there individual user configuration is set to use Org-Wide settings (by default is is). 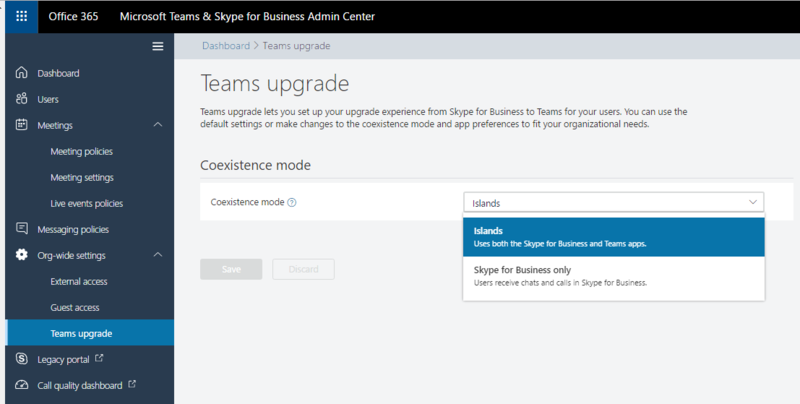 Otherwise, Teams coexistence can be set per user based to use Islands Mode, Skype for Business Only modes. For some tenants, there’s an option available as Teams Only mode. This is purely base on how Microsoft is rolling this tool out to tenants. If it’s not there yet, it will appear soon. Of course if you still want to use the old Portal, It’s available to use under “Legacy Portal”. Not sure how long it will remain there. But, for the time been, it’s there to use. The last component there (for now) is the “Call Quality Dashboard”. This is exactly same as the CQD in on premises Skype for Business server. 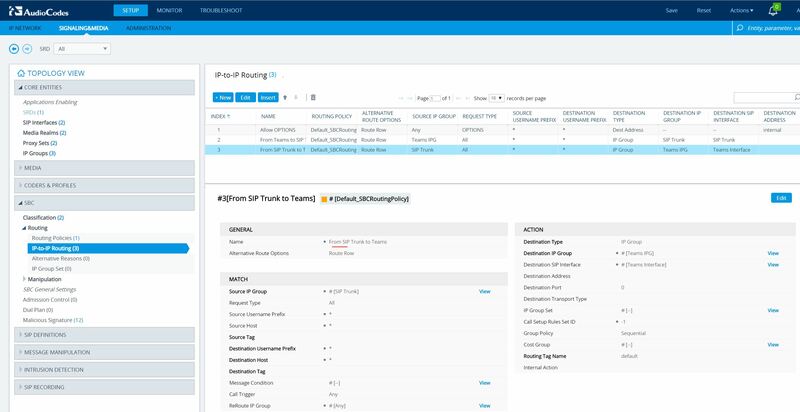 Like the on-premises deployment, this one also need to be configured with Building data to have an overall view of call quality information. This captures and reflects QoE data out of both SfBO and Teams clients. 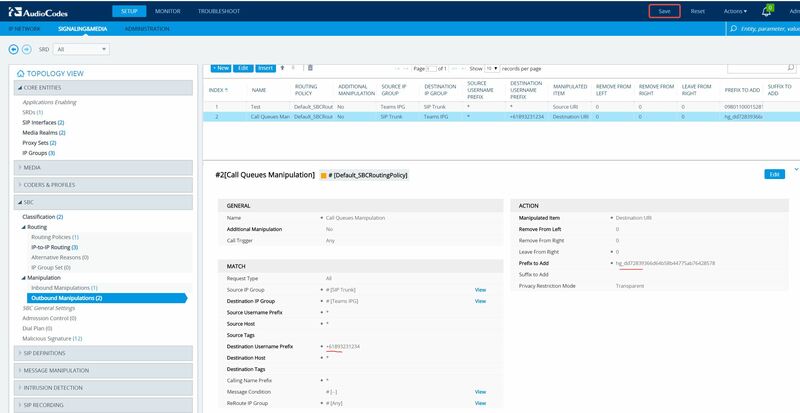 This CQD instance have configured with different set of reports that can be run on-demand. It includes “Summery Reports”, “Location-Enhanced Reports” and “QoE Reports”. Microsoft have recently added “Detailed Reports” in to CQD to provide detailed analysis of call quality information within the organization. It is under Preview still and (hopefully) Microsoft will release this in to production within upcoming months. Looking at the bigger picture for Microsoft Teams and SfBO, this centralized Admin center plays a major part in managing and configuring both of these platforms. There are lot still missing (ex, Enterprise Voice related components, Dial-In conferencing) from this tool that requires Powershell or legacy Admin Center to configure. Once those missing bits get added in to the portal, it will be complete and truly a one stop shop for both SfBO and Teams administration and management. Thanks and let me know your thoughts and comments below regarding the article.